Jessying - Malaysia Beauty Blog - Skin Care reviews, Make Up reviews and latest beauty news in town! : AirAsiaGo Grand Sale Secret Promo Code! AirAsiaGo Grand Sale Secret Promo Code! Hey people, what you guys been busy with recently? I have been busy with work, life, travelling and shopping! Speaking of travelling...I thought of sharing this good news with you guys (or more like I'm trying to tempt myself to book a holiday for myself)! AirAsiaGo.com is currently doing Grand Sale where you get to enjoy exclusive Flight and Hotel packages covering a wide selection of holiday destinations, locally and internationally, from as low as RM159 per person. With guaranteed 20% off for flights, you can book an all inclusive vacation now and save the cash for shopping or souvenirs, only with AirAsiaGo.com! Just log on to AirAsiaGo.com from now to 23 August 2015, to satisfy your wanderlust with amazing deals of 3D2N all-in flights + hotel packages from as low as RM159 per person to domestic destinations and RM399 per person to international destinations for 4D3N packages. The attractive promotions cover travel packages to holiday destinations within Malaysia, as well as Thailand, Indonesia, Philippines, Taiwan, Maldives, Korea, Japan, China and Australia. I want to go Maldives!!!! And to take advantage of these exclusive deals, you need to purchase your trips as a complete package (flights + hotels). As for those who have existing flight bookings and are looking for hotel stay, key in the special promo code of ‘AAGO8’ to get an additional 8% off on accommodation. All bookings will be valid for the travel period from 1 September 2015 till 30 June 2016. So what are you guys waiting for? Go and book the long awaited holiday you been waiting for! You can also book your trip using AirAsiaGo Mobile App which is available in AppStore and Google Play. For more info, visit www.airasiago.com for further information. p/s: If want to enjoy cashback from AirAsiaGo booking, don't forget to sign up with ShopBack Malaysia here to receive cashback with every booking made! 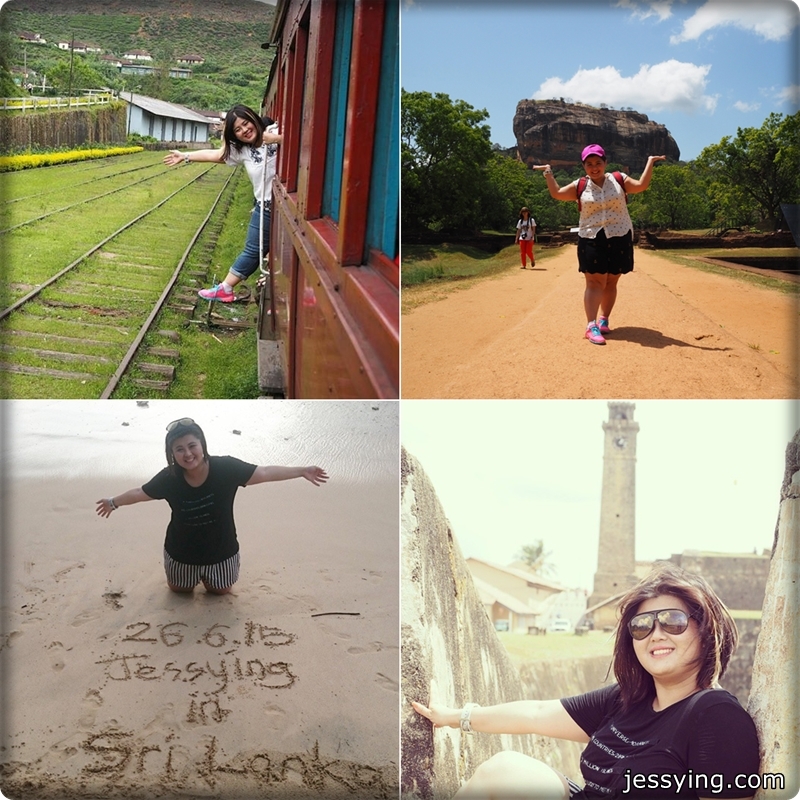 A collage picture of my recent awesome Sri Lanka's trip!! !